DUI vehicular homicide results when a person dies due to gross negligence or drunk driving, as well as fleeing the scene of an accident where a person dies. The victim may be a passenger in the vehicle with the offender or a person outside of the vehicle, such as another motorist, cyclist, or pedestrian. Criminal vehicular homicide – causing death, but not constituting murder or manslaughter. This a felony offense punishable by a $20,000 fine and/or 10 years in prison. Great bodily harm – causing serious, permanent injury. This is a felony offense punishable by a $10,000 fine and/or 5 years in prison. Substantial bodily harm – causing significant, temporary injury. This is a felony offense, punishable by a $10,000 fine and/or 3 years in prison. Bodily harm – causing injury or pain. This a gross misdemeanor offense, punishable by a $3,000 fine and/or one year in prison. Harm to a child – causing injury or death to an unborn child is also a felony offense. In Minnesota, criminal vehicular homicide is a felony. Gross negligence can be charged as a gross misdemeanor or a felony offense, depending on the severity of the victim’s injuries. “Gross negligence” refers to extremely negligent actions or acting without care or concern about the risk of causing harm to others. In such cases, the driver is usually completely oblivious of his/her actions and what harm may result from them. If a person is charged with gross negligence, he/she may face prison time for each person killed in the accident. Sentences and punishments for DUI vehicular homicide vary, often dependent on which DWI attorney is representing the defendant. In some cases, a motorist may be convicted of vehicular manslaughter for causing a fatal collision and leaving the scene, which is a violation of Minnesota hit-and-run laws. Although not as common, a driver may be charged with manslaughter resulting from the operation of a vehicle. The two classifications of manslaughter include first-degree manslaughter (voluntary) and second-degree manslaughter (involuntary). First-degree manslaughter requires proof of intent to cause death and is a 15-year felony. Second-degree manslaughter is similar to criminal vehicular homicide, a ten-year felony, but requires culpable negligence, a higher standard of proof. Charges for DWI include being physically in control of a motor vehicle while intoxicated, even if the person charged with the crime is not driving. For example, an intoxicated person found in the driver’s seat of a car and holding the car keys can be charged with a DWI, even if the vehicle is parked. That person is considered to be in control of the vehicle. Minnesota DWI laws also apply to the operation of recreational vehicles including motorboats, snowmobiles, off-road vehicles, off-highway motorcycles, and all-terrain vehicles. If a person dies in an accident involving one of these vehicles while the driver is intoxicated or grossly negligent, he/she may be charged with vehicular homicide. 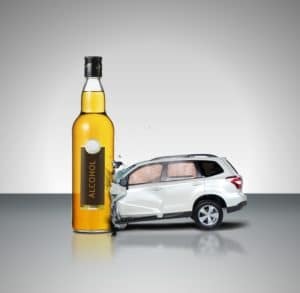 In Minnesota, drunk driving causes approximately one-quarter of all traffic deaths. In 2015, drunk driving accounted for 23 percent of the state’s traffic fatalities. Drunk driving is also the most common reason for vehicular homicide cases. When charged and convicted of DUI vehicular homicide, a person’s life as he/she knows it will change significantly. In addition to steep fines, loss of driving privileges, and prison time, the offender will have a felony criminal record which may impact future employment, housing, and finances. Although many juries and judges are not sympathetic to a drunk driver who causes another person’s death, a DUI attorney may help reduce the penalties for vehicular homicide by proving an illegal police stop, an illegally administered sobriety test, or another person’s responsibility for the accident.